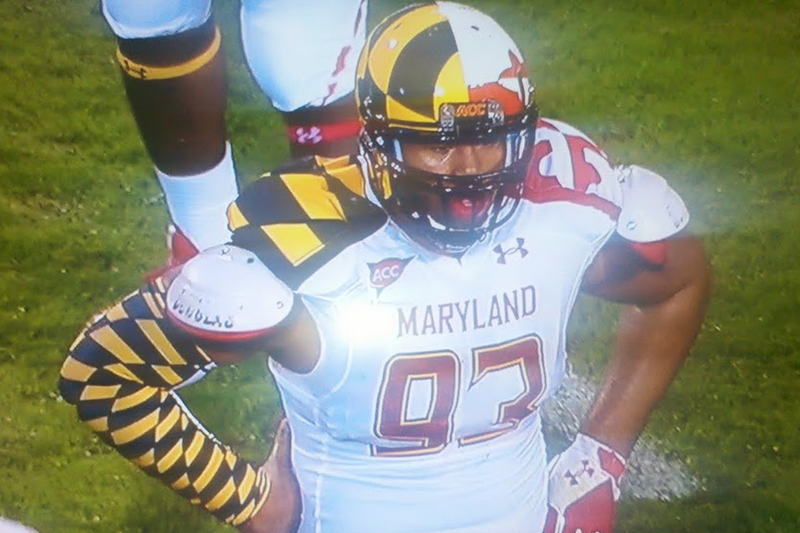 After the University of Maryland unveiled some, erm, adventurous new uniforms this weekend, college football fans have spent almost as much time analyzing the team’s fashion choices as they have its offensive line. The new duds, modeled after the Old Line State’s famous flag, may have been a “so crazy, it just might work” attempt to distract their opponent, the already-embattled Miami Hurricanes, into submission. (It wouldn’t have been the first time a sports team has apparently tried that strategy.) But can uniform design actually impact the outcome of a football game—or any other game, for that matter? As it turns out, there’s evidence that uniform design may have considerable influence on a team’s performance, on referees’ perceptions of team behavior, and on the final outcome of an athletic match. A 2005 study in Nature, for example, found that “across a range of sports […] wearing red is consistently associated with a higher probability of winning”—and when other factors are roughly equal, red uniforms can tip the balance. Another widely-cited 1988 study in the Journal of Personality and Social Psychology found that NHL and NFL teams with black uniforms, during a 17-year period of study, were penalized “significantly more often […] than their rivals in nonblack uniforms.” In addition, the authors added, “those teams that switched from nonblack to black uniforms during this time period experienced an immediate and dramatic increase in penalties.” The authors also reported that in their experiments, not only were teams wearing black perceived as more aggressive—receiving harsh judgments for actions that were ignored when mimicked by teams wearing white—but they were also prone to more aggressive behavior. The study suggests a link between the color black’s association with death and evil and abnormally high levels of aggression in already-competitive situations. That answers part of the question—but the football world is still waiting for definitive research into the impact of playing while dressed, as ESPN’s Paul Lukas put it, like court jesters.